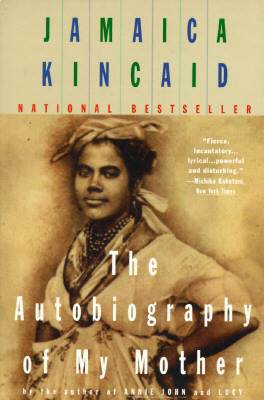 Jamaica Kincaid's novel is the haunting, deeply charged story of a woman's life on the island of Dominica. Xuela Claudette Richardson, daughter of a Carib mother and a half-Scottish, half-African father, grows up in a harsh, loveless world after her mother dies in childbirth. Xuela's narrative provides a rich, vivid exploration of the Caribbean and the pervasive influence of colonialism. The Autobiography of My Mother is a story of love, fear, loss, and the forging of a character, an account of one woman's inexorable evolution evoked in startling and magical poetry. Description: Text is clean and unmarked.